For other uses of Three Ages, see Three Ages (disambiguation). The three-age system is the categorization of history into time periods divisible by three; for example: the Stone Age, the Bronze Age, and the Iron Age; although it also refers to other tripartite divisions of historic time periods. In history, archaeology and physical anthropology, the three-age system is a methodological concept adopted during the 19th century by which artifacts and events of late prehistory and early history could be ordered into a recognizable chronology. It was initially developed by C. J. Thomsen, director of the Royal Museum of Nordic Antiquities, Copenhagen, as a means to classify the museum’s collections according to whether the artifacts were made of stone, bronze, or iron. The system first appealed to British researchers working in the science of ethnology who adopted it to establish race sequences for Britain's past based on cranial types. Although the craniological ethnology that formed its first scholarly context holds no scientific value, the relative chronology of the Stone Age, the Bronze Age and the Iron Age is still in use in a general public context, and the three ages remain the underpinning of prehistoric chronology for Europe, the Mediterranean world and the Near East. The structure reflects the cultural and historical background of Mediterranean Europe and the Middle East and soon underwent further subdivisions, including the 1865 partitioning of the Stone Age into Paleolithic, Mesolithic and Neolithic periods by John Lubbock. It is, however, of little or no use for the establishment of chronological frameworks in sub-Saharan Africa, much of Asia, the Americas and some other areas and has little importance in contemporary archaeological or anthropological discussion for these regions. The concept of dividing pre-historical ages into systems based on metals extends far back in European history, probably originated by Lucretius in the first century BC. But the present archaeological system of the three main ages—stone, bronze and iron—originates with the Danish archaeologist Christian Jürgensen Thomsen (1788–1865), who placed the system on a more scientific basis by typological and chronological studies, at first, of tools and other artifacts present in the Museum of Northern Antiquities in Copenhagen (later the National Museum of Denmark). He later used artifacts and the excavation reports published or sent to him by Danish archaeologists who were doing controlled excavations. His position as curator of the museum gave him enough visibility to become highly influential on Danish archaeology. A well-known and well-liked figure, he explained his system in person to visitors at the museum, many of them professional archaeologists. ... then Zeus the father created the third generation of mortals, the age of bronze ... They were terrible and strong, and the ghastly action of Ares was theirs, and violence. ... The weapons of these men were bronze, of bronze their houses, and they worked as bronzesmiths. There was not yet any black iron. Hesiod knew from the traditional poetry, such as the Iliad, and the heirloom bronze artifacts that abounded in Greek society, that before the use of iron to make tools and weapons, bronze had been the preferred material and iron was not smelted at all. He did not continue the manufacturing metaphor, but mixed his metaphors, switching over to the market value of each metal. Iron was cheaper than bronze, so there must have been a golden and a silver age. He portrays a sequence of metallic ages, but it is a degradation rather than a progression. Each age has less of a moral value than the preceding. Of his own age he says: "And I wish that I were not any part of the fifth generation of men, but had died before it came, or had been born afterward." For the nature of the world as a whole is altered by age. Everything must pass through successive phases. Nothing remains forever what it was. Everything is on the move. Everything is transformed by nature and forced into new paths ... The Earth passes through successive phases, so that it can no longer bear what it could, and it can now what it could not before. Lucretius envisioned a pre-technological human that was "far tougher than the men of today ... They lived out their lives in the fashion of wild beasts roaming at large." 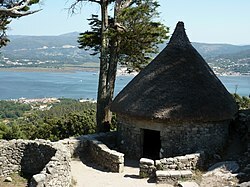 The next stage was the use of huts, fire, clothing, language and the family. City-states, kings and citadels followed them. Lucretius supposes that the initial smelting of metal occurred accidentally in forest fires. The use of copper followed the use of stones and branches and preceded the use of iron. By the 16th century, a tradition had developed based on observational incidents, true or false, that the black objects found widely scattered in large quantities over Europe had fallen from the sky during thunderstorms and were therefore to be considered generated by lightning. 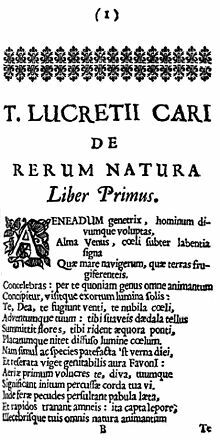 They were so published by Konrad Gessner in De rerum fossilium, lapidum et gemmarum maxime figuris & similitudinibus at Zurich in 1565 and by many others less famous. The name ceraunia, "thunderstones," had been assigned. Ceraunia were collected by many persons over the centuries including Michele Mercati, Superintendent of the Vatican Botanical Garden in the late 16th century. He brought his collection of fossils and stones to the Vatican, where he studied them at leisure, compiling the results in a manuscript, which was published posthumously by the Vatican at Rome in 1717 as Metallotheca. Mercati was interested in Ceraunia cuneata, "wedge-shaped thunderstones," which seemed to him to be most like axes and arrowheads, which he now called ceraunia vulgaris, "folk thunderstones," distinguishing his view from the popular one. His view was based on what may be the first in-depth lithic analysis of the objects in his collection, which led him to believe that they are artifacts and to suggest that the historical evolution of these artifacts followed a scheme. Mercati examining the surfaces of the ceraunia noted that the stones were of flint and that they had been chipped all over by another stone to achieve by percussion their current forms. The protrusion at the bottom he identified as the attachment point of a haft. Concluding that these objects were not ceraunia he compared collections to determine exactly what they were. Vatican collections included artifacts from the New World of exactly the shapes of the supposed ceraunia. The reports of the explorers had identified them to be implements and weapons or parts of them. Mercati posed the question to himself, why would anyone prefer to manufacture artifacts of stone rather than of metal, a superior material? His answer was that metallurgy was unknown at that time. He cited Biblical passages to prove that in Biblical times stone was the first material used. He also revived the 3-age system of Lucretius, which described a succession of periods based on the use of stone (and wood), bronze and iron respectively. Due to lateness of publication, Mercati's ideas were already being developed independently; however, his writing served as a further stimulus. On November 12, 1734, Nicholas Mahudel, physician, antiquarian and numismatist, read a paper at a public sitting of the Académie Royale des Inscriptions et Belles-Lettres in which he defined three "usages" of stone, bronze and iron in a chronological sequence. He had presented the paper several times that year but it was rejected until the November revision was finally accepted and published by the Academy in 1740. It was entitled Les Monumens les plus anciens de l'industrie des hommes, et des Arts reconnus dans les Pierres de Foudres. It expanded the concepts of Antoine de Jussieu, who had gotten a paper accepted in 1723 entitled De l'Origine et des usages de la Pierre de Foudre. In Mahudel, there is not just one usage for stone, but two more, one each for bronze and iron. Their cause, he asserts, is "the industry of our forefathers (l'industrie de nos premiers pères)." He adds later that bronze and iron implements imitate the uses of the stone ones, suggesting a replacement of stone with metals. Mahudel is careful not to take credit for the idea of a succession of usages in time but states: "it is Michel Mercatus, physician of Clement VIII who first had this idea". He does not coin a term for ages, but speaks only of the times of usages. His use of l'industrie foreshadows the 20th century "industries," but where the moderns mean specific tool traditions, Mahudel meant only the art of working stone and metal in general. Thomsen explaining the Three-age System to visitors at the Museum of Northern Antiquities, then at the Christiansborg Palace, in Copenhagen, 1846. Drawing by Magnus Petersen, Thomsen's illustrator. An important step in the development of the Three-age System came when the Danish antiquarian Christian Jürgensen Thomsen was able to use the Danish national collection of antiquities and the records of their finds as well as reports from contemporaneous excavations to provide a solid empirical basis for the system. He showed that artifacts could be classified into types and that these types varied over time in ways that correlated with the predominance of stone, bronze or iron implements and weapons. In this way he turned the Three-age System from being an evolutionary scheme based on intuition and general knowledge into a system of relative chronology supported by archaeological evidence. Initially, the three-age system as it was developed by Thomsen and his contemporaries in Scandinavia, such as Sven Nilsson and J.J.A. Worsaae, was grafted onto the traditional biblical chronology. But, during the 1830s they achieved independence from textual chronologies and relied mainly on typology and stratigraphy. In 1816 Thomsen at age 27 was appointed to succeed the retiring Rasmus Nyerup as Secretary of the Kongelige Commission for Oldsagers Opbevaring ("Royal Commission for the Preservation of Antiquities"), which had been founded in 1807. The post was unsalaried; Thomsen had independent means. At his appointment Bishop Münter said that he was an "amateur with a great range of accomplishments." Between 1816 and 1819 he reorganized the commission's collection of antiquities. In 1819 he opened the first Museum of Northern Antiquities, in Copenhagen, in a former monastery, to house the collections. It later became the National Museum. Like the other antiquarians Thomsen undoubtedly knew of the three-age model of prehistory through the works of Lucretius, the Dane Vedel Simonsen, Montfaucon and Mahudel. Sorting the material in the collection chronologically he mapped out which kinds of artifacts co-occurred in deposits and which did not, as this arrangement would allow him to discern any trends that were exclusive to certain periods. In this way he discovered that stone tools did not co-occur with bronze or iron in the earliest deposits while subsequently bronze did not co-occur with iron - so that three periods could be defined by their available materials, stone, bronze and iron. nothing is more important than to point out that hitherto we have not paid enough attention to what was found together. we still do not know enough about most of the antiquities either; ... only future archaeologists may be able to decide, but they will never be able to do so if they do not observe what things are found together and our collections are not brought to a greater degree of perfection. To put artifacts in their proper context I consider it most important to pay attention to the chronological sequence, and I believe that the old idea of first stone, then copper, and finally iron, appears to be ever more firmly established as far as Scandinavia is concerned. By 1831 Thomsen was so certain of the utility of his methods that he circulated a pamphlet, "Scandinavian Artifacts and Their Preservation, advising archaeologists to "observe the greatest care" to note the context of each artifact. The pamphlet had an immediate effect. Results reported to him confirmed the universality of the Three-age System. Thomsen also published in 1832 and 1833 articles in the Nordisk Tidsskrift for Oldkyndighed, "Scandinavian Journal of Archaeology." He already had an international reputation when in 1836 the Royal Society of Northern Antiquaries published his illustrated contribution to "Guide to Scandinavian Archaeology" in which he put forth his chronology together with comments about typology and stratigraphy. Thomsen was the first to perceive typologies of grave goods, grave types, methods of burial, pottery and decorative motifs, and to assign these types to layers found in excavation. His published and personal advice to Danish archaeologists concerning the best methods of excavation produced immediate results that not only verified his system empirically but placed Denmark in the forefront of European archaeology for at least a generation. He became a national authority when C.C Rafn, secretary of the Kongelige Nordiske Oldskriftselskab ("Royal Society of Northern Antiquaries"), published his principal manuscript in Ledetraad til Nordisk Oldkyndighed ("Guide to Scandinavian Archaeology") in 1836. The system has since been expanded by further subdivision of each era, and refined through further archaeological and anthropological finds. It was to be a full generation before British archaeology caught up with the Danish. When it did, the leading figure was another multi-talented man of independent means: John Lubbock, 1st Baron Avebury. After reviewing the Three-age System from Lucretius to Thomsen, Lubbock improved it and took it to another level, that of cultural anthropology. Thomsen had been concerned with techniques of archaeological classification. Lubbock found correlations with the customs of savages and civilization. "That of the Drift... This we may call the 'Palaeolithic' Period." "The later, or polished Stone Age ... in which, however, we find no trace ... of any metal, excepting gold, ... This we may call the 'Neolithic' Period." "The Bronze Age, in which bronze was used for arms and cutting instruments of all kinds." "The Iron Age, in which that metal had superseded bronze." Perhaps it will be thought ... I have selected ... the passages most unfavorable to savages. ... In reality the very reverse in the case. ... Their real condition is even worse and more abject than that which I have endeavoured to depict. Bone harpoon studded with microliths, a Mode 5 composite hunting implement. Sir John Lubbock's use of the terms Palaeolithic ("Old Stone Age") and Neolithic ("New Stone Age") were immediately popular. They were applied, however, in two different senses: geologic and anthropologic. In 1867-1868 Ernst Haeckel in 20 public lectures in Jena, entitled General Morphology, to be published in 1870, referred to the Archaeolithic, the Palaeolithic, the Mesolithic and the Caenolithic as periods in geologic history. He could only have got these terms from Hodder Westropp, who took Palaeolithic from Lubbock, invented Mesolithic ("Middle Stone Age") and Caenolithic instead of Lubbock's Neolithic. None of these terms appear anywhere, including the writings of Haeckel, before 1865. Haeckel's use was innovative. Man, in all ages and in all stages of his development, is a tool-making animal. "The flint implements of the gravel-drift"
"The flint implements found in Ireland and Denmark"
Lubbock's savagery was now Westropp's barbarism. A fuller exposition of the Mesolithic waited for his book, Pre-Historic Phases, dedicated to Sir John Lubbock, published in 1872. At that time he restored Lubbock's Neolithic and defined a Stone Age divided into three phases and five stages. The First Stage, "Implements of the Gravel Drift," contains implements that were "roughly knocked into shape." His illustrations show Mode 1 and Mode 2 stone tools, basically Acheulean handaxes. Today they are in the Lower Palaeolithic. The Second Stage, "Flint Flakes" are of the "simplest form" and were struck off cores. Westropp differs in this definition from the modern, as Mode 2 contains flakes for scrapers and similar tools. His illustrations, however, show Modes 3 and 4, of the Middle and Upper Palaeolithic. His extensive lithic analysis leaves no doubt. They are, however, part of Westropp's Mesolithic. The Third Stage, "a more advanced stage" in which "flint flakes were carefully chipped into shape," produced small arrowheads from shattering a piece of flint into "a hundred pieces", selecting the most suitable and working it with a punch. 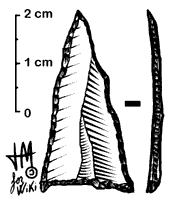 The illustrations show that he had microliths, or Mode 5 tools in mind. His Mesolithic is therefore partly the same as the modern. The Fourth Stage is a part of the Neolithic that is transitional to the Fifth Stage: axes with ground edges leading to implements totally ground and polished. Westropp's agriculture is removed to the Bronze Age, while his Neolithic is pastoral. The Mesolithic is reserved to hunters. Sir John Lubbock has proposed to call them the Archaeolithic, or Palaeolithic, and the Neolithic Periods respectively, terms which have met with almost general acceptance, and of which I shall avail myself in the course of this work. Evans did not, however, follow Lubbock's general trend, which was typological classification. He chose instead to use type of find site as the main criterion, following Lubbock's descriptive terms, such as tools of the drift. Lubbock had identified drift sites as containing Palaeolithic material. Evans added to them the cave sites. Opposed to drift and cave were the surface sites, where chipped and ground tools often occurred in unlayered contexts. Evans decided he had no choice but to assign them all to the most recent. He therefore consigned them to the Neolithic and used the term "Surface Period" for it. Having read Westropp, Sir John knew perfectly well that all the former's Mesolithic implements were surface finds. He used his prestige to quell the concept of Mesolithic as best he could, but the public could see that his methods were not typological. The less prestigious scientists publishing in the smaller journals continued to look for a Mesolithic. For example, Isaac Taylor in The Origin of the Aryans, 1889, mentions the Mesolithic but briefly, asserting, however, that it formed "a transition between the Palaeolithic and Neolithic Periods." Nevertheless, Sir John fought on, opposing the Mesolithic by name as late as the 1897 edition of his work. Meanwhile, Haeckel had totally abandoned the geologic uses of the -lithic terms. The concepts of Palaeozoic, Mesozoic and Cenozoic had originated in the early 19th century and were gradually becoming coin of the geologic realm. 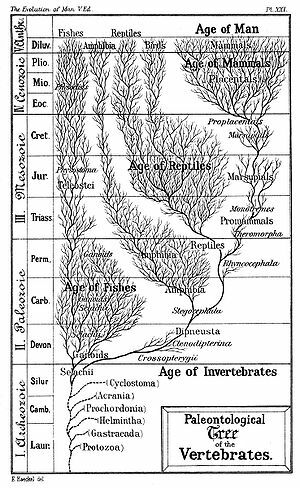 Realizing he was out of step, Haeckel started to transition to the -zoic system as early as 1876 in The History of Creation, placing the -zoic form in parentheses next to the -lithic form. Between the Palaeolithic and Neolithic, there is a wide and deep gap, a large hiatus. I was fortunate to discover the remains of that unknown time which separated the Magdalenian age from that of polished stone axes ... it was, at Mas-d'Azil in 1887 and 1888 when I made this discovery. He had excavated the type site of the Azilian Culture, the basis of today's Mesolithic. He found it sandwiched between the Magdalenian and the Neolithic. The tools were like those of the Danish kitchen-middens, termed the Surface Period by Evans, which were the basis of Westropp's Mesolithic. They were Mode 5 stone tools, or microliths. He mentions neither Westropp nor the Mesolithic, however. For him this was a "solution of continuity (solution de continuité)" To it he assigns the semi-domestication of dog, horse, cow, etc., which "greatly facilitated the work of neolithic man (a beaucoup facilité la tàche de l'homme néolithique)." Brown in 1892 does not mention Mas-d'Azil. He refers to the "transition or 'Mesolithic' forms" but to him these are "rough hewn axes chipped over the entire surface" mentioned by Evans as the earliest of the Neolithic. Where Piette believed he had discovered something new, Brown wanted to break out known tools considered Neolithic. Small Magdalenian carving representing a horse. Sir John Evans never changed his mind, giving rise to a dichotomous view of the Mesolithic and a multiplication of confusing terms. On the continent, all seemed settled: there was a distinct Mesolithic with its own tools and both tools and customs were transitional to the Neolithic. Then in 1910, the Swedish archaeologist, Knut Stjerna, addressed another problem of the Three-Age System: although a culture was predominantly classified as one period, it might contain material that was the same as or like that of another. His example was the Gallery grave Period of Scandinavia. It was not uniformly Neolithic, but contained some objects of bronze and more importantly to him three different subcultures. One of these "civilisations" (sub-cultures) located in the north and east of Scandinavia was rather different, featuring but few gallery graves, using instead stone-lined pit graves containing implements of bone, such as harpoon and javelin heads. He observed that they "persisted during the recent Paleolithic period and also during the Protoneolithic." Here he had used a new term, "Protoneolithic", which was according to him to be applied to the Danish kitchen-middens. Tardenoisian Mode 5 point—Mesolithic or Epipaleolithic? There is no mention of any Mesolithic, but the material he described had been previously connected with the Mesolithic. Whether or not Stjerna intended his Protoneolithic and Epipaleolithic as a replacement for the Mesolithic is not clear, but Hugo Obermaier, a German archaeologist who taught and worked for many years in Spain, to whom the concepts are often erroneously attributed, used them to mount an attack on the entire concept of Mesolithic. He presented his views in El Hombre fósil, 1916, which was translated into English in 1924. Viewing the Epipaleolithic and the Protoneolithic as a "transition" and an "interim" he affirmed that they were not any sort of "transformation:"
The ideas of Stjerna and Obermaier introduced a certain ambiguity into the terminology, which subsequent archaeologists found and find confusing. Epipaleolithic and Protoneolithic cover the same cultures, more or less, as does the Mesolithic. Publications on the Stone Age after 1916 include some sort of explanation of this ambiguity, leaving room for different views. Strictly speaking the Epipaleolithic is the earlier part of the Mesolithic. Some identify it with the Mesolithic. To others it is an Upper Paleolithic transition to the Mesolithic. The exact use in any context depends on the archaeological tradition or the judgement of individual archaeologists. The issue continues. Haeckel's tree growing through the layers. In geology, the tripartite division did not stand the test of time. The post-Darwinian approach to the naming of periods in earth history focused at first on the lapse of time: early (Palaeo-), middle (Meso-) and late (Ceno-). This conceptualization automatically imposes a three-age subdivision to any period, which is predominant in modern archaeology: Early, Middle and Late Bronze Age; Early, Middle and Late Minoan, etc. The criterion is whether the objects in question look simple or are elaborative. If a horizon contains objects that are post-late and simpler-than-late they are sub-, as in Submycenaean. Haeckel's presentations are from a different point of view. His History of Creation of 1870 presents the ages as "Strata of the Earth's Crust," in which he prefers "upper", "mid-" and "lower" based on the order in which one encounters the layers. His analysis features an Upper and Lower Pliocene as well as an Upper and Lower Diluvial (his term for the Pleistocene). Haeckel, however, was relying heavily on Lyell. In the 1833 edition of Principles of Geology (the first) Lyell devised the terms Eocene, Miocene and Pliocene to mean periods of which the "strata" contained some (Eo-, "early"), lesser (Mio-) and greater (Plio-) numbers of "living Mollusca represented among fossil assemblages of western Europe." The Eocene was given Lower, Middle, Upper; the Miocene a Lower and Upper; and the Pliocene an Older and Newer, which scheme would indicate an equivalence between Lower and Older, and Upper and Newer. The continuity between geology, prehistoric archaeology and history is so direct that it is impossible to picture early man in this country without using the results of all these three sciences. In Kent's Cave the implements obtained from the lower stages were of a much ruder description than the various objects detected in the upper cave-earth ... And a very long time must have elapsed between the formation of the lower and upper Palaeolithic beds in that cave. The Middle Paleolithic in the modern sense made its appearance in 1911 in the 1st edition of William Johnson Sollas' Ancient Hunters. It had been used in varying senses before then. Sollas associates the period with the Mousterian technology and the relevant modern people with the Tasmanians. In the 2nd edition of 1915 he has changed his mind for reasons that are not clear. The Mousterian has been moved to the Lower Paleolithic and the people changed to the Australian aborigines; furthermore, the association has been made with Neanderthals and the Levalloisian added. Sollas says wistfully that they are in "the very middle of the Palaeolithic epoch." Whatever his reasons, the public would have none of it. From 1911 on, Mousterian was Middle Paleolithic, except for holdouts. Alfred L. Kroeber in 1920, Three essays on the antiquity and races of man, reverting to Lower Paleolithic, explains that he is following Louis Laurent Gabriel de Mortillet. The English-speaking public remained with Middle Paleolithic. Thomsen had formalized the Three-age System by the time of its publication in 1836. The next step forward was the formalization of the Palaeolithic and Neolithic by Sir John Lubbock in 1865. Between these two times Denmark held the lead in archaeology, especially because of the work of Thomsen's at first junior associate and then successor, Jens Jacob Asmussen Worsaae, rising in the last year of his life to Kultus Minister of Denmark. Lubbock offers full tribute and credit to him in Prehistoric Times. Both for Bronze and Stone it was now evident that a few hundred years would not suffice. In fact, good grounds existed for dividing each of these periods into two, if not more. He called them earlier or later. The three ages became six periods. The British seized on the concept immediately. Worsaae's earlier and later became Lubbock's palaeo- and neo- in 1865, but alternatively English speakers used Earlier and Later Stone Age, as did Lyell's 1883 edition of Principles of Geology, with older and younger as synonyms. As there is no room for a middle between the comparative adjectives, they were later modified to early and late. The scheme created a problem for further bipartite subdivisions, which would have resulted in such terms as early early stone age, but that terminology was avoided by adoption of Geikie's upper and lower Paleolithic. Amongst African archaeologists[who? ], the terms Old Stone Age, Middle Stone Age and Late Stone Age are preferred. From the moment when the first skin was used as a covering, when the first rude spear was formed to assist in the chase, the first seed sown or shoot planted, a grand revolution was effected in nature, a revolution which in all the previous ages of the world's history had had no parallel, for a being had arisen who was no longer necessarily subject to change with the changing universe,—a being who was in some degree superior to nature, inasmuch as he knew how to control and regulate her action, and could keep himself in harmony with her, not by a change in body, but by an advance in mind. Wallace distinguishing between mind and body was asserting that natural selection shaped the form of man only until the appearance of mind; after then, it played no part. Mind formed modern man, meaning that result of mind, culture. Its appearance overthrew the laws of nature. Wallace used the term "grand revolution." Although Lubbock believed that Wallace had gone too far in that direction he did adopt a theory of evolution combined with the revolution of culture. Neither Wallace not Lubbock offered any explanation of how the revolution came about, or felt that they had to offer one. Revolution is an acceptance that in the continuous evolution of objects and events sharp and inexplicable disconformities do occur, as in geology. And so it is not surprising that in the 1874 Stockholm meeting of the International Congress of Anthropology and Prehistoric Archaeology, in response to Ernst Hamy's denial of any "break" between Paleolithic and Neolithic based on material from dolmens near Paris "showing a continuity between the paleolithic and neolithic folks," Edouard Desor, geologist and archaeologist, replied: "that the introduction of domesticated animals was a complete revolution and enables us to separate the two epochs completely." ...an advance in knowledge and civilization which amounted to a revolution in the then existing manners and customs of the world. There are quite a large number of archaeologists who justifiably consider the period of the Late Stone Age to be a neolithic revolution and an economic revolution at the same time. For that is the period when primitive agriculture developed and cattle breeding began. In 1936 a champion came forward who would advance the Neolithic Revolution into the mainstream view: Vere Gordon Childe. After giving the Neolithic Revolution scant mention in his first notable work, the 1928 edition of New Light on the Most Ancient East, Childe made a major presentation in the first edition of Man Makes Himself in 1936 developing Wallace's and Lubbock's theme of the human revolution against the supremacy of nature and supplying detail on two revolutions, the Paleolithic—Neolithic and the Neolithic-Bronze Age, which he called the Second or Urban revolution. The assumption that any savage tribe today is primitive, in the sense that its culture faithfully reflects that of much more ancient men is gratuitous. Archaeologists can define a period when it was apparently the sole economy, the sole organization of production ruling anywhere on the earth's surface. These periods could be used to supplement historical ones where history was not available. He reaffirmed Lubbock's view that the Paleolithic was an age of food gathering and the Neolithic an age of food production. He took a stand on the question of the Mesolithic identifying it with the Epipaleolithic. The Mesolithic was to him "a mere continuance of the Old Stone Age mode of life" between the end of the Pleistocene and the start of the Neolithic. Lubbock's terms "savagery" and "barbarism" do not much appear in Man Makes Himself but the sequel, What Happened in History (1942), reuses them (attributing them to Morgan, who got them from Lubbock) with an economic significance: savagery for food-gathering and barbarism for Neolithic food production. Civilization begins with the urban revolution of the Bronze Age. Even as Childe was developing this revolution theme the ground was sinking under him. Lubbock did not find any pottery associated with the Paleolithic, asserting of its to him last period, the Reindeer, "no fragments of metal or pottery have yet been found." He did not generalize but others did not hesitate to do so. The next year, 1866, Dawkins proclaimed of Neolithic people that "these invented the use of pottery...." From then until the 1930s pottery was considered a sine qua non of the Neolithic. The term Pre-Pottery Age came into use in the late 19th century but it meant Paleolithic. Meanwhile, the Palestine Exploration Fund founded in 1865 completing its survey of excavatable sites in Palestine in 1880 began excavating in 1890 at the site of ancient Lachish near Jerusalem, the first of a series planned under the licensing system of the Ottoman Empire. Under their auspices in 1908 Ernst Sellin and Carl Watzinger began excavation at Jericho previously excavated for the first time by Sir Charles Warren in 1868. They discovered a Neolithic and Bronze Age city there. Subsequent excavations in the region by them and others turned up other walled cities that appear to have preceded the Bronze Age urbanization. All excavation ceased for World War I. When it was over the Ottoman Empire was no longer a factor there. In 1919 the new British School of Archaeology in Jerusalem assumed archaeological operations in Palestine. John Garstang finally resumed excavation at Jericho 1930-1936. The renewed dig uncovered another 3000 years of prehistory that was in the Neolithic but did not make use of pottery. He called it the Pre-pottery Neolithic, as opposed to the Pottery Neolithic, subsequently often called the Aceramic or Pre-ceramic and Ceramic Neolithic. Kathleen Kenyon was a young photographer then with a natural talent for archaeology. Solving a number of dating problems she soon advanced to the forefront of British archaeology through skill and judgement. In World War II she served as a commander in the Red Cross. In 1952–58 she took over operations at Jericho as the Director of the British School, verifying and expanding Garstang's work and conclusions. There were two Pre-pottery Neolithic periods, she concluded, A and B. Moreover, the PPN had been discovered at most of the major Neolithic sites in the near East and Greece. By this time her personal stature in archaeology was at least equal to that of V. Gordon Childe. While the three-age system was being attributed to Childe in popular fame, Kenyon became gratuitously the discoverer of the PPN. More significantly the question of revolution or evolution of the Neolithic was increasingly being brought before the professional archaeologists. Danish archaeology took the lead in defining the Bronze Age, with little of the controversy surrounding the Stone Age. British archaeologists patterned their own excavations after those of the Danish, which they followed avidly in the media. References to the Bronze Age in British excavation reports began in the 1820s contemporaneously with the new system being promulgated by C.J. Thomsen. Mention of the Early and Late Bronze Age began in the 1860s following the bipartite definitions of Worsaae. In 1874 at the Stockholm meeting of the International Congress of Anthropology and Prehistoric Archaeology, a suggestion was made by A. Bertrand that no distinct age of bronze had existed, that the bronze artifacts discovered were really part of the Iron Age. Hans Hildebrand in refutation pointed to two Bronze Ages and a transitional period in Scandinavia. John Evans denied any defect of continuity between the two and asserted there were three Bronze Ages, "the early, middle and late bronze age." The Bronze Age of Britain may, therefore, be regarded as an aggregate of three stages: the first, that characterized by the flat or slightly flanged celts, and the knife-daggers ... the second, that characterized by the more heavy dagger-blades and the flanged celts and tanged spear-heads or daggers, ... and the third, by palstaves and socketed celts and the many forms of tools and weapons, ... It is in this third stage that the bronze sword and the true socketed spear-head first make their advent. In thus speaking of a bronze-using period I by no means wish to exclude the possible use of copper unalloyed with tin. 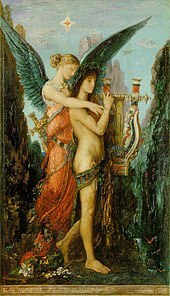 Evans goes into considerable detail tracing references to the metals in classical literature: Latin aer, aeris and Greek chalkós first for "copper" and then for "bronze." He does not mention the adjective of aes, which is aēneus, nor is he interested in formulating New Latin words for the Copper Age, which is good enough for him and many English authors from then on. He offers literary proof that bronze had been in use before iron and copper before bronze. Whether intentional or not, the definition was the same as Evans', except that Chierici was adding a term to New Latin. He describes the transition by stating the beginning (litica, or stone age) and the ending (eneo-, or Bronze Age); in English, "the stone-to-bronze period." Shortly after, "Eneolithic" or "Aeneolithic" began turning up in scholarly English as a synonym for "Copper Age." Sir John's own son, Arthur Evans, beginning to come into his own as an archaeologist and already studying Cretan civilization, refers in 1895 to some clay figures of "aeneolithic date" (quotes his). 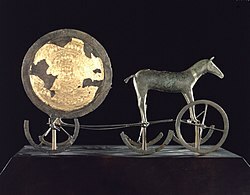 The three-age system is a way of dividing prehistory, and the Iron Age is therefore considered to end in a particular culture with either the start of its protohistory, when it begins to be written about by outsiders, or when its own historiography begins. Although iron is still the major hard material in use in modern civilization, and steel is a vital and indispensable modern industry, as far as archaeologists are concerned the Iron Age has therefore now ended for all cultures in the world. The date when it is taken to end varies greatly between cultures, and in many parts of the world there was no Iron Age at all, for example in Pre-Columbian America and the prehistory of Australia. For these and other regions the three-age system is little used. By a convention among archaeologists, in the Ancient Near East the Iron Age is taken to end with the start of the Achaemenid Empire in the 6th century BC, as the history of that is told by the Greek historian Herodotus. This remains the case despite a good deal of earlier local written material having become known since the convention was established. In Western Europe the Iron Age is ended by Roman conquest. In South Asia the start of the Maurya Empire about 320 BC is usually taken as the end point; although we have a considerable quantity of earlier written texts from India, they give us relatively little in the way of a conventional record of political history. For Egypt, China and Greece "Iron Age" is not a very useful concept, and relatively little used as a period term. In the first two prehistory has ended, and periodization by historical ruling dynasties has already begun, in the Bronze Age, which these cultures do have. In Greece the Iron Age begins during the Greek Dark Ages, and coincides with the cessation of a historical record for some centuries. For Scandinavia and other parts of northern Europe that the Romans did not reach, the Iron Age continues until the start of the Viking Age in about 800 AD. The question of the dates of the objects and events discovered through archaeology is the prime concern of any system of thought that seeks to summarize history through the formulation of ages or epochs. An age is defined through comparison of contemporaneous events. Increasingly, the terminology of archaeology is parallel to that of historical method. An event is "undocumented" until it turns up in the archaeological record. Fossils and artifacts are "documents" of the epochs hypothesized. The correction of dating errors is therefore a major concern. In the case where parallel epochs defined in history were available, elaborate efforts were made to align European and Near Eastern sequences with the datable chronology of Ancient Egypt and other known civilizations. The resulting grand sequence was also spot checked by evidence of calculateable solar or other astronomical events. These methods are only available for the relatively short term of recorded history. Most prehistory does not fall into that category. Physical science provides at least two general groups of dating methods, stated below. Data collected by these methods is intended to provide an absolute chronology to the framework of periods defined by relative chronology. The initial comparisons of artifacts defined periods that were local to a site, group of sites or region. Advances made in the fields of seriation, typology, stratification and the associative dating of artifacts and features permitted even greater refinement of the system. The ultimate development is the reconstruction of a global catalogue of layers (or as close to it as possible) with different sections attested in different regions. Ideally once the layer of the artifact or event is known a quick lookup of the layer in the grand system will provide a ready date. This is considered the most reliable method. It is used for calibration of the less reliable chemical methods. Any material sample contains elements and compounds that are subject to decay into other elements and compounds. In cases where the rate of decay is predictable and the proportions of initial and end products can be known exactly, consistent dates of the artifact can be calculated. Due to the problem of sample contamination and variability of the natural proportions of the materials in the media, sample analysis in the case where verification can be checked by grand layering systems has often been found to be widely inaccurate. Chemical dates therefore are only considered reliable used in conjunction with other methods. They are collected in groups of data points that form a pattern when graphed. Isolated dates are not considered reliable. The term Megalithic does not refer to a period of time, but merely describes the use of large stones by ancient peoples from any period. An eolith is a stone that might have been formed by natural process but occurs in contexts that suggest modification by early humans or other primates for percussion. [clarification needed How can a dwelling be made of teeth?] A band of edible-plant gatherers and hunters (25–100 people) Evidence for belief in the afterlife first appears in the Upper Palaeolithic, marked by the appearance of burial rituals and ancestor worship. Shamans, priests and sanctuary servants appear in the prehistory. * Formation of states starts during the Early Bronze Age in Egypt and Mesopotamia and during the Late Bronze Age first empires are founded. The Three-age System has been criticized since at least the 19th century. Every phase of its development has been contested. Some of the arguments that have been presented against it follow. Last century Herbert Spencer, Lewis H. Morgan and Tylor propounded divergent schemes ... they arranged these in a logical order .... They assumed that the logical order was a temporal one.... The competing systems of Morgan and Tylor remained equally unverified—and incompatible—theories. But as a more rigorous sociological approach has begun to show that changes at the economic, political and ideological levels are not 'all of apiece' we have come to realise that time may be segmented in as many ways as convenient to the researcher concerned. As radiocarbon and other forms of absolute dating contributed more detailed and more reliable chronologies, the epochal model ceased to be necessary. Although modern archaeologists realize that this tripartite division of prehistoric society is far too simple to reflect the complexity of change and continuity, terms like ‘Bronze Age’ are still used as a very general way of focusing attention on particular times and places and thus facilitating archaeological discussion. ... Professor Wilson's presentation of prehistoric archaeology was a European product carried across the Atlantic to promote an American science compatible with its European model. Kehoe goes on to complain of Wilson that "he accepted and reprised the idea that the European course of development was paradigmatic for humankind." This criticism argues that the different societies of the world underwent social and technological developments in different ways. A sequence of events that describes the developments of one civilization may not necessarily apply to another, in this view. Instead social and technological developments must be described within the context of the society being studied. 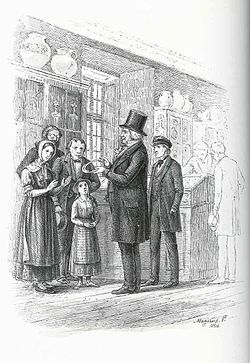 ^ "Craniology and the Adoption of the Three-Age System in Britain". Cambridge Press. Retrieved December 27, 2016. ^ Julian Richards (January 24, 2005). "BBC - History - Notepads to Laptops: Archaeology Grows Up". BBC. Retrieved December 27, 2016. ^ "Three-age System - oi". Oxford Index. Retrieved December 27, 2016. ^ "John Lubbock's "Pre-Historic Times" is Published (1865)". History of Information. Retrieved December 27, 2016. ^ "About the three Age System of Prehistory Archaeology". Act for Libraries. Retrieved December 27, 2016. ^ Lines 140-155, translator Richmond Lattimore. ^ Beye, Charles Rowan (Jan 1963). "Lucretius and Progress". The Classical Journal. 58 (4): 160–169. ^ De Rerum Natura, Book V, about Line 800 ff. The translator is Ronald Latham. ^ De Rerum Natura, Book V, around Line 1200 ff. ^ De Rerum Natura, Book V around Line 940 ff. ^ Goodrum 2008, p. 496. ^ Hamy 1906, p. 259: "c'est a Michel Mercatus, Médecin de Clément VIII, que la première idée est duë..."
^ Thomsen, Christian Jürgensen (1836). "Kortfattet udsigt over midesmaeker og oldsager fra Nordens oldtid". In Rafn, C.C (ed.). Ledetraad til Nordisk Oldkyndighed (in Danish). Copenhagen: Kongelige Nordiske Oldskriftselskab . ^ This was not the museum guidebook, which was written by Julius Sorterup, an assistant of Thomsen, and published in 1846. Note that translations of Danish organizations and publications tend to vary somewhat. ^ "Reviews". The Medical Times and Gazette: A Journal of Medical Science, Literature, Criticism and News. London: John Churchill and Sons. II. Aug 6, 1870. ^ Taylor, Isaac (1889). The Origin of the Aryans. An Account of the Prehistoric Ethnology and Civilisation of Europe. New York: C. Scribner's sones. p. 60. ^ a b Haeckel, Ernst Heinrich Philipp August; Lankester, Edwin Ray (1876). The history of creation, or, The development of the earth and its inhabitants by the action of natural causes : a popular exposition of the doctrine of evolution in general, and of that of Darwin, Goethe, and Lamarck in particular. New York: D. Appleton. p. 15. ^ a b Piette 1895, p. 236: "Entre le paléolithique et le neolithique, il y a une large et profonde lacune, un grand hiatus; ..."
^ Piette 1895, p. 239: "J'ai eu la bonne fortune découvrir les restes de cette époque ignorée qui sépara l'àge magdalénien de celui des haches en pierre polie ... ce fut, au Mas-d'Azil, en 1887 et en 1888 que je fis cette découverte." ^ Brown 1893, pp. 74–75. ^ Geikie, James (1881). Prehistoric Europe: A Geological Sketch. London: Edward Stanford. .
^ Sollas, William Johnson (1911). Ancient hunters: and their modern representatives. London: Macmillan and Co. p. 130. ^ "On an Earlier and Later Period in the Stone Age". The Gentleman's Magazine. May 1862. p. 548. ^ Wallace, Alfred Russel (1864). "The Origin of Human Races and the Antiquity of Man Deduced From the Theory of "Natural Selection"". Journal of the Anthropological Society of London. 2. ^ Howarth, H.H. (1875). "Report on the Stockholm Meeting of the International Congress of Anthropology and Prehistoric Archaeology". Journal of the Royal Anthropological Institute of Great Britain and Ireland. IV: 347. ^ Chambers, William and Robert (December 20, 1879). "Pre-historic Records". Chambers's Journal. 56 (834): 805–808. ^ Childe, who was writing for the masses, did not make use of critical apparatus and offered no attributions in his texts. This practice led to the erroneous attribution of the entire three-age system to him. Very little of it originated with him. His synthesis and expansion of its detail is however attributable to his presentations. ^ Dawkins, W. Boyd (July 1866). "On the Habits and Conditions of the Two earliest known Races of Men". Quarterly Journal of Science. 3: 344. ^ "Kenyon Institute". Retrieved 31 May 2011. ^ Howorth, H.H. (1875). "Report of the Stockholm Meeting of the International Congress of Anthropology and Prehistoric Archaeology". Journal of the Anthropological Institute of Great Britain and Ireland. London: AIGBI. IV: 354–355. ^ Pigorini, Luigi; Strobel, Pellegrino (1886). Gaetano Chierici e la paletnologia italiana (in Italian). Parma: Luigi Battei. p. 84. ^ Childe, V. Gordon; Patterson, Thomas Carl; Orser, Charles E. (2004). Foundations of social archaeology: selected writings of V. Gordon Childe. Walnut Creek, California: AltaMira Press. p. 173. ^ A predecessor of Lubbock working from the original Danish conception of the three ages. Bogucki, Peter (2008). "Northern and Western Europe: Bronze Age". Encyclopedia of Archaeology. New York: Academic Press. pp. 1216–1226. Browman, David L.; Williams, Steven (2002). New Perspectives on the Origins of Americanist Archaeology. Tuscaloosa: University of Alabama Press. Brown, J. Allen (1893). "On the Continuity of the Palaeolithic and Neolithic Periods". The Journal of the Anthropological Institute of Great Britain and Ireland. XXII: 66–98. Childe, V. Gordon (1951). Man Makes Himself (3rd ed.). Mentor Books (New American Library of World Literature, Inc.). Connah, Graham (2010). Writing About Archaeology. Cambridge University Press. Dawkins, William Boyd (1880). The Three Pleistocene Strata: Early Man in Britain and his place in the Tertiary Period. London: MacMillan and Co.
Evans, John (1872). The ancient stone implements, weapons and ornaments, of Great Britain. New York: D. Appleton and Company. Evans, John (1881). The Ancient Bronze Implements, Weapons, and Ornaments of Great Britain and Ireland. London: Longmans Green & Co.
Goodrum, Matthew R. (2008). "Questioning Thunderstones and Arrowheads: The Problem of Recognizing and Interpreting Stone Artifacts in the Seventeenth Century". Early Science and Medicine. 13 (5): 482–508. doi:10.1163/157338208X345759. Gräslund, Bo (1987). The Birth of Prehistoric Chronology. Dating methods and dating systems in nineteenth-century Scandinavian archeology. Cambridge: Cambridge University Press. Hamy, M.E.T. (1906). "Matériaux pour servir à l'histoire de l'archéologie préhistorique". Revue Archéologique. 4th Series (in French). 7 (March–April): 239–259. Heizer, Robert F. (1962). "The background of Thomsen's Three-Age System". Technology and Culture. 3 (3): 259–266. doi:10.2307/3100819. Kristiansen, Kristian; Rowlands, Michael (1998). Social Transformations in Archaeology: global and local persepectives. London: Routledge. Lubbock, John (1865). Pre-historic times. as illustrated by ancient remains, and the manners and customs of modern savages. London & Edinburgh: Williams and Norgate. Malina, Joroslav; Vašíček, Zdenek (1990). Archaeology yesterday & today: The development of archaeology in the sciences & humanities. Cambridge: Cambridge University Press. Piette, Edouard (1895). "Hiatus et Lacune: Vestiges de la période de transition dans la grotte du Mas-d'Azil" (PDF). Bulletin de la Societé d'anthropologie de Paris (in French). 6 (6): 235–267. doi:10.3406/bmsap.1895.5585. Rowley-Conwy, Peter (2007). From Genesis to Prehistory: The Archaeological Three Age System and its Contested Reception in Denmark, Britain, and Ireland. Oxford Studies in the History of Archaeology. Oxford, New York: Oxford University Press. Rowley-Conwy, Peter (2006). "The Concept of Prehistory and the Invention of the Terms 'Prehistoric' and 'Prehistorian': the Scandinavian Origin, 1833—1850" (PDF). European Journal of Archaeology. 9 (1): 103–130. doi:10.1177/1461957107077709. Stjerna, Knut (1910). "Les groupes de civilisation en Scandinavie à l'époque des sépultures à galerie". L'Anthropologie (in French). Paris. XXI: 1–34. Trigger, Bruce (2006). A History of Archaeological thought (2nd ed.). Oxford: Cambridge University Press. Westropp, Hodder M. (1872). Pre-Historic Phases; or, Introductory Essays on Pre-Historic Archaeology. London: Bell & Daldy.